Happy New Years with the Cybils Announcements! My library is hosting our second annual Mock Caldecott this month, so I'm sharing my thoughts on the list I put together (we have ten titles we're discussing). Do you think any of these books have a chance at winning a Caldecott in 2014? 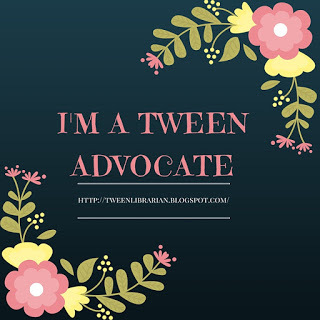 -Nonfiction is always interesting to me when it comes to possible Caldecott candidates. 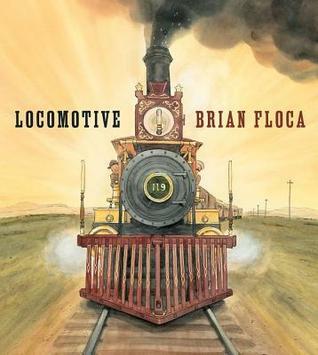 I guess in my head, when I think picture books, I don't always think of nonfiction, so when something like Locomotive comes along, it surprises me and makes me very excited! This is the type of book that can get kids excited about reading nonfiction and it's one I will hand over to all my train enthusiasts. When you first open the book, you notice the end papers which are filled with all sorts of details like maps and various details, objects and facts about trains. You know exactly what you're in for and you want to examine each page to learn more. The illustrations throughout show everything you can imagine about trains and blend with the text seamlessly to create a nice flow to learning everything you could ever possibly need to know about a train ride. I do wonder though if the illustrations stand out on their own or if it's the blending of the text and illustrations that make this one work so well. I would love to see it honored by the Sibert Committee for informational text and we'll see if the Caldecott Committee thinks the illustrations alone are enough to honor it. -Unlike Locomotive, Frog Song is a nonfiction book where I think the illustrations are stronger than the text. I still think the text is great and I learned a ton about frogs, but what made this book stand out to me were the lush illustrations of frogs. Who knew frogs could be so beautiful? 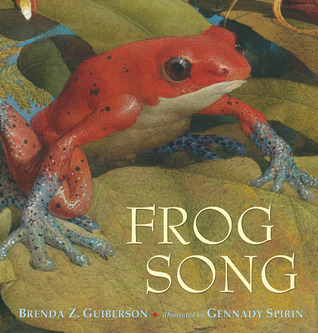 There is fantastic use of color in this book-the lush green of the leaves, the colorful frogs. the vibrant lillypads. I also love the title page and the way the plants come up around the title. There's also great texture-just look at the illustration of the tarantula and you can almost feel the fur on its legs! This is a great use of watercolors and I think the illustrations are something worth spending some time with looking over each landscape.